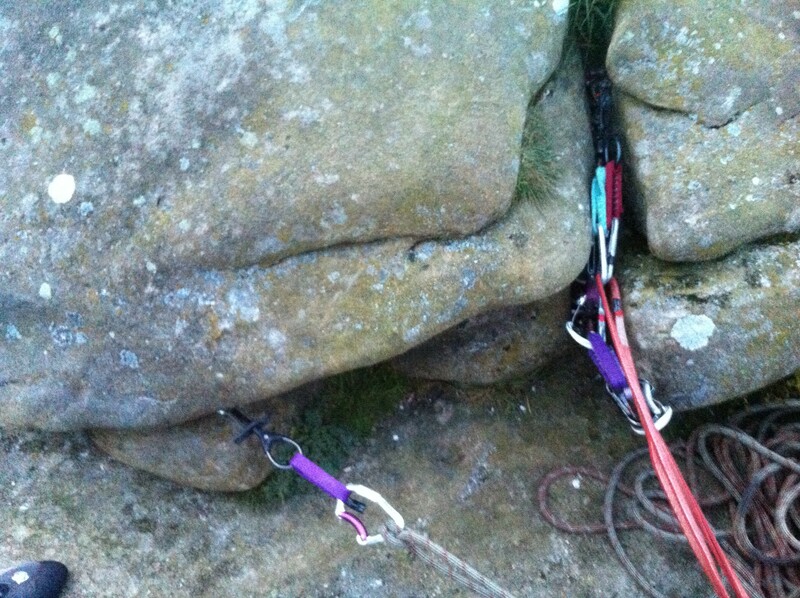 The midweek evening summer cragging continued last night when seven of us headed off to Almscliff. I always expect it to be blowing a hoolie there so it came as a nice change to have still dry weather (although it did mean midges). We partnered up into the usual groups, Dave, Gordon and Richard were down on Low Man, ending the evening on Rough Crack, Simon and Carmen (complete with crack gloves) went looking for appropriate territory to test out their newly acquired skills from the Crack School, Donal and I went and climbed Fluted Crack, Crack of Doom and Zig Zag Direct. We finished just as the sun set and headed to the Hunters for a pint where we bumped into Peri and Dave who had been bouldering a Caley. Yes we did! and we were certainly rewarded for all the wet and windy trips. We stayed at the Alex MacIntyre Hut in North Ballachulish – surprised to find we were the only people there apart from the Warden(s). Perfect conditions for a mass ascent of Ledge Route on Ben Nevis. The mass included Simon & myself, Rob, Antony, Donal, Jamie and Peri. We were suitably kitted out for a winter ascent – and Peri had packed enough stuff for Everest. However, the strong sunshine and warm temperatures meant that the ridge was in summer scrambling condition (easy grade 2) – d'oh. Crampons and one axe were occasionally used throughout the day but ropes and gear stayed packed away. Never mind it was a great way up the Ben. After a brief photo session at the summit it was time to continue over the Carn Mor Dearg arete, on to the summit and a steep snow descent back into the corrie. During the descent Donal managed to trap his ankle and it took a while to dig him back out. With all the cooks in one car – the chef with the quickest recipe (Peri) was voted to cook. We were worried that other club members would be starving by now – but they had stopped in the Clachaig on the way back so there were no complaints. Unlike our civilised start – Peter W had got up extra early to climb Comb Gully with his friend Rob. The route was apparently in very good condition with plenty of ice and they were at the top before we'd left the car park. They had a fabulous day and were back down a hell of a lot earlier than us – plenty of time for Pete to make a welcome trifle. 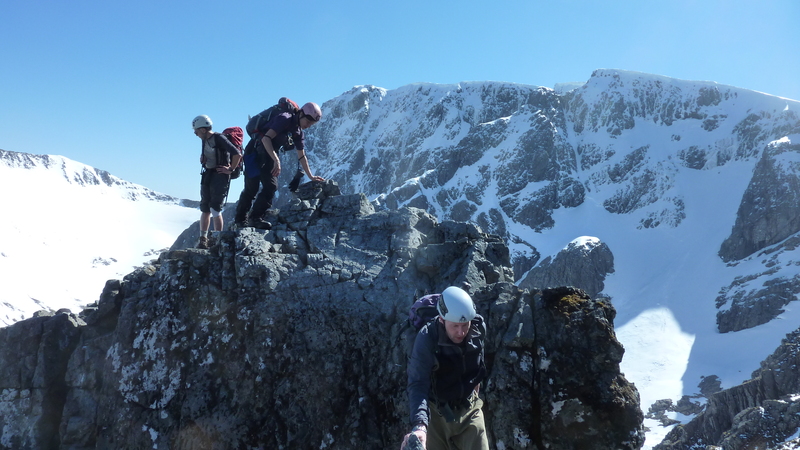 Meanwhile, Graeme, Warwick and Annie did two of the Mamores from Kinlochleven and were rewarded with stunning views of the Ben and surrounding mountains. Antony wanted to take it easier today so decided to join Simon, myself and Annie on a walk taking in 3 Corbetts in Moidart (he won't make that mistake again in a rush!). It proved a hard day as it was mainly off paths with plenty of up & down and a brutal 350m ascent right at the end of the day (overall slightly further and more ascent than day 1). However, we were rewarded with fantastic views of the islands and mountains inland. Again, all the cooks were in one car and it proved a longer day than the Ben – so it was a late dinner again. 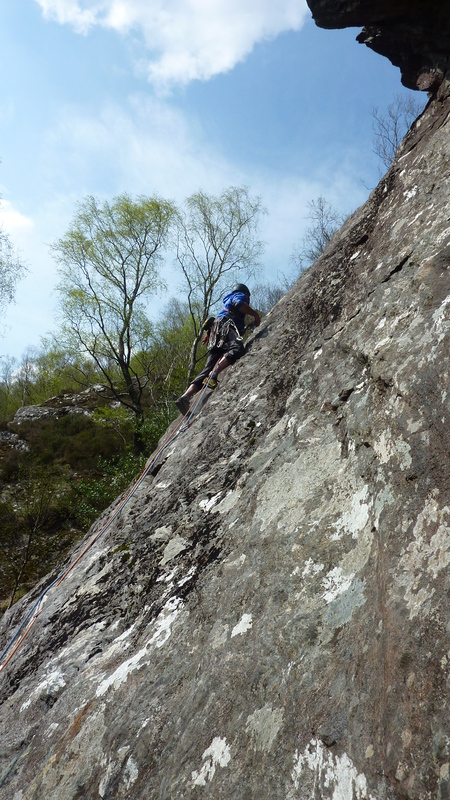 This time the climbing mass ascent was the classic rock route Adverickie wall (HS) on Binnean Shuas. Rob climbed with Donal, and they were followed by the team of Peri, Peter and Jamie. A late start, longish drive and other teams on the route meant a late finish. So we had managed to beat them back – just. It is a great route in an attractive setting and was thoroughly enjoyed by all. Warwick and Graeme did part of the Ballachulish horseshoe? Simon, myself, Rob and Peter headed for the mountain crag of Aonoch Dubh on Bidean nam Bian. There were other teams on the the classic rock route -The Long Route – so Peter led Weeping Wall (S), while Simon & I did Curving Crack (S). 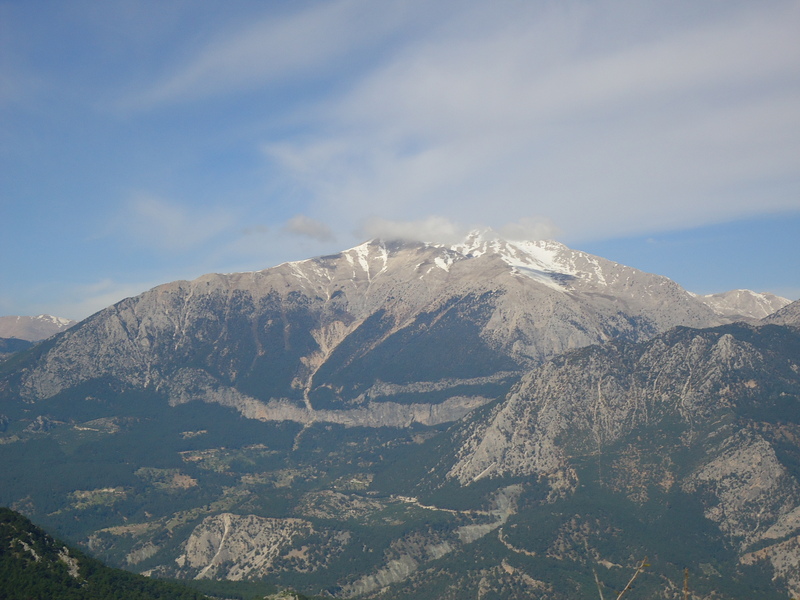 The climbs were interesting with good rock and just about adequate gear. We then scrambled up to the next level and followed them up the classic rock route Archers Rib (S). The descent proved interesting and rather wet (the others found a less damp route). 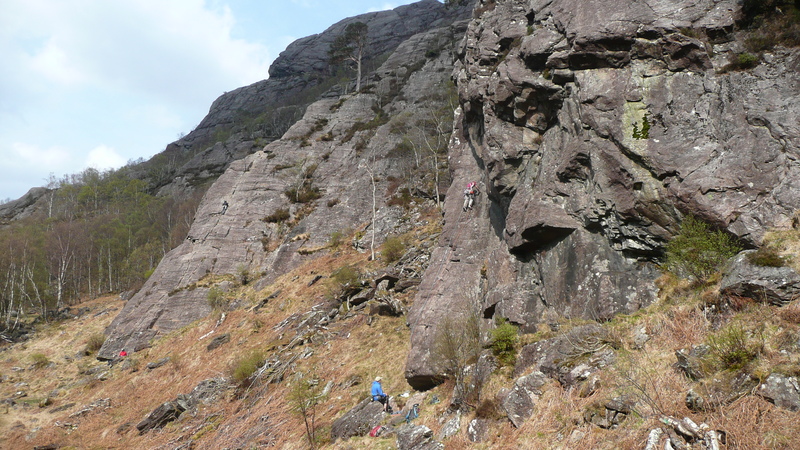 We then finished the day by following them up the Long Route which has a crack(ing) 2nd pitch. Peri, Donal & Jamie climbed at Polldubh (scenic low level crag in Glen Nevis) – suffering in the Scottish heat (too hot to climb apparently). 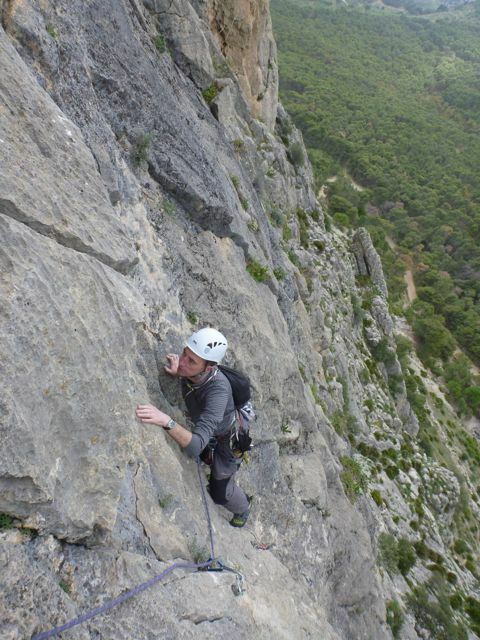 Although, they did manage a number of fine multi-pitch routes. Warwick had a superb day out on Bidean climbing Broad Gully to Stob Coire nan Lochan, then up onto Bidean nam Bian. Annie, Graeme and Antony took it easier and went for a walk in the hidden valley. Antony made a delightfully spicy meal (with fortunately a slightly tamer version for Annie) which was a great end to the day, followed by a plentiful supply of cake and mini-eggs thanks to Peri. Rob, Simon & myself headed to Polldubh, a good choice as it was a lot more windy today. 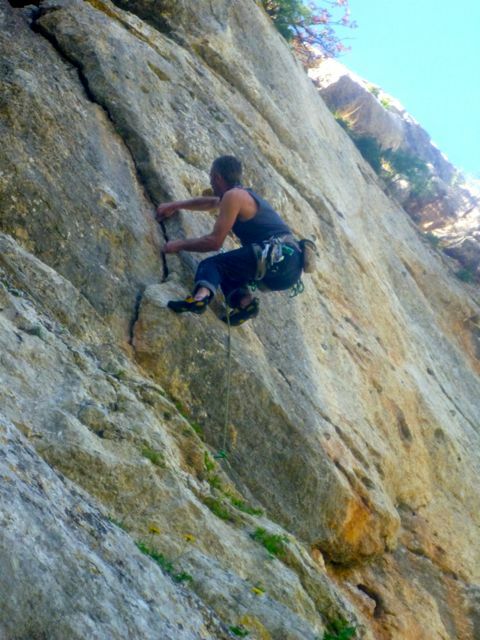 Routes climbed were Resurrection (VS), Pine Wall (HS), Pandora (S) and Phantom Slab (VS). All well worth doing. 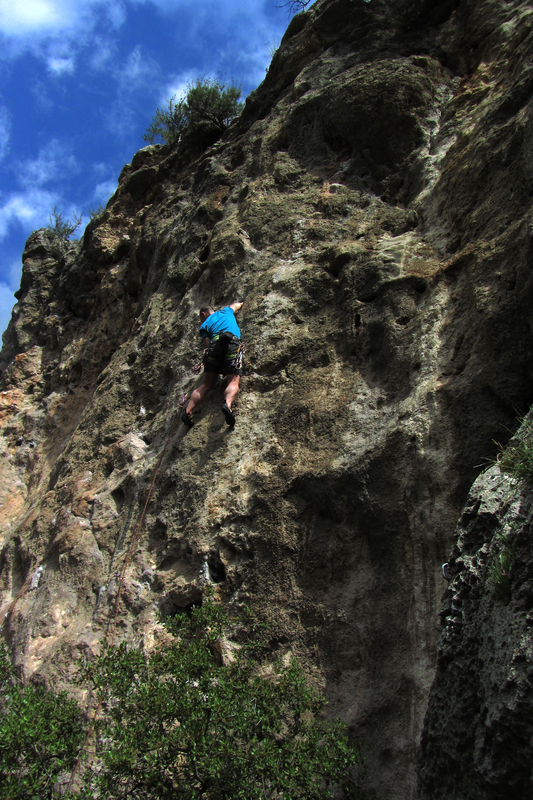 Meanwhile Peri & Antony (also climbing at Polldubh) mixed pitches from 3 different routes on Calgary buttress. Donal, Jamie and Annie stopped off in Callander and did a good 4 mile walk to stretch the legs on the way back home. Peter was determined to get in a final ski session – so carried them up Broad Gully to Stob Coire nan Lochan, then up onto Bidean nam Bian and had a great ski descent until the snow ran out then walked out through the hidden valley. Definitely the quickest way down! All in all a fantastic Easter meet that we will not forget in a rush. With the change of the clocks and some nice weather Rob and I headed to Brimham on Tuesday evening. First port of call was Cubic Block where the rock was nice and dry, albeit a wee bit cold, the friction was great and we had a go at Rough Wall (VS 5a). After a bit of Yo-Yoing at the crux I managed to get past the difficulties and it was lovely climbing, just as promised in the route description. We top roped Rough Stuff (HVS 5b – one of Rob's projects), which is the route immediately to the left of rough wall, and was just as well given the distinct lack of gear just past the crux. Super safe on this 6-cam belay. Next stop Right-hand Crack (VS 4b) on Cracked Buttress, hand jamming fun all the way, if you're doing it right. And the final stop was back at Cubic Block to look for some plastic gizmo that Rob lost, as we were there it seemed a shame to miss out on a final climb so we ran up Shorties Dilemma (S 4a) where Rob constructed a 6-cam belay – see photo! An addendum to the Ottoman Empire Strikes back…. Whilst ‘Team Peri’ was doing the ‘Ard stuff ('ard with a capital A), Peter and I were entertaining ourselves on the 4s and 5s which were not quite so plentiful. Simon and Carmen obviously doing stuff somewhere in between. 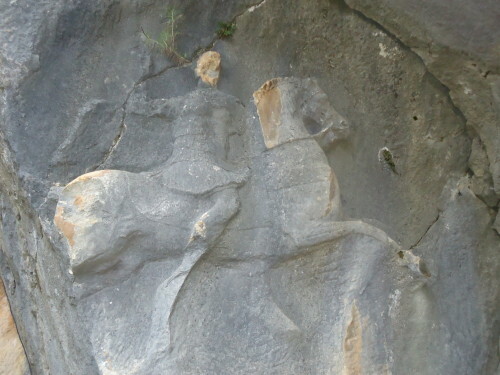 Our trad trip on the Tuesday, to the same area as Saturday’s epic (the mountain is called Sivri Dag), was notable for two reasons. The first was getting there. We drove up the right valley, could see the ridge but could not see how to get to it as per the instructions in the guide book. Solution was to drive down the valley back to the suburbs of Antalya and drive around until we found another road pointing in the right direction. This worked out fine as we ended up underneath our ridge. Next problem was to find the parking place. We needed to know this as the path leads from there. After driving past some road works and workmen half a dozen times we convinced ourselves we were at the right place. All this took ages. Eventually we got climbing, the rock was very good. Some of the holds were so deep that unless you consciously thought to take your hand out, it got stuck there with the back of your hand being bashed against the top of the slotted hold when you moved on. The second was the weather. 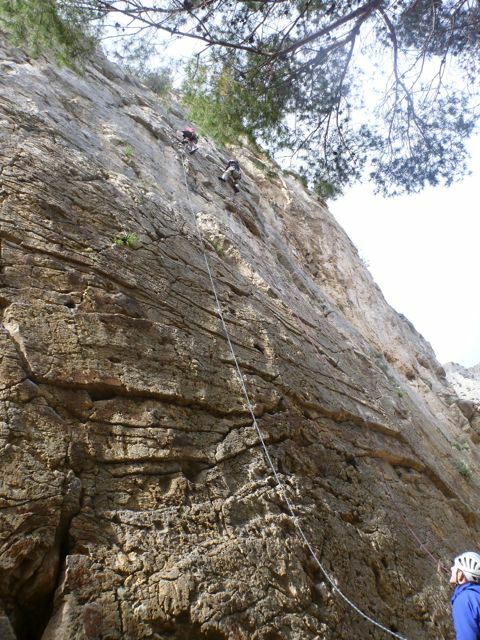 Once we had few routes done, Simon and Carmen set off on a multi-pitch route. Cue rain. After deciding it was not going to pass, Peter and I abandoned our rope and kit and sheltered under a tree. Simon and Carmen eventually returned from abandoning their route and retrieved it for us. Most kind! Back to the car and back to base to dry out. The trip to the beach (Thursday). Isabelle joined the usual 4 in our car and we went to the crag on the beach on Thursday as the weather forecast was bad. How does that work? Sitting in the back of the car I began to recognise bits of road and tunnels we had gone along (and through) along a few minutes earlier. Eventually we pulled off the new dual carriageway and found some where to park on the now defunct coast road. Do they make detailed maps in Turkey? Surf was up. Made access and starting more interesting. Carmen put up a rope on a hideously difficult 6A, which she kindly hauled me up later. In the interim Peter and I were messing around on the 5, when not getting soaked by the surf. One – we lost Carmen. She got to a tomb at the top of a hill (tomb of Aslan, minus the broken stone table) and then could not quite figure out the right way to come down. Eventually she chose the right path and did rejoin us, but not after some consternation on our part as to where the heck she had got to. Two – the tomb of Alcetas was there. Alcetas was one of Alexander the Great’s generals. A photo of the tomb was in the book I had taken for holiday reading – not that I read much of it. 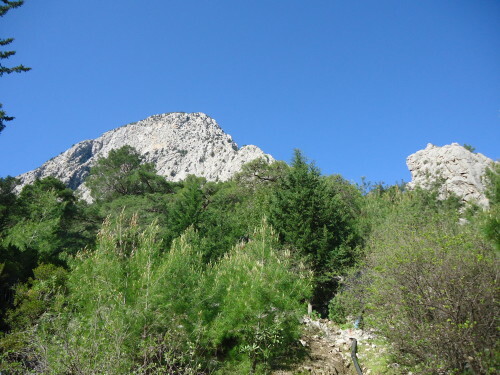 This day, Simon, Carmen, Peter and I set off on a long route up the ridge called Kuzey Dogu Sirti (which apparently means NE ridge of Sirti, which we think is the first summit). 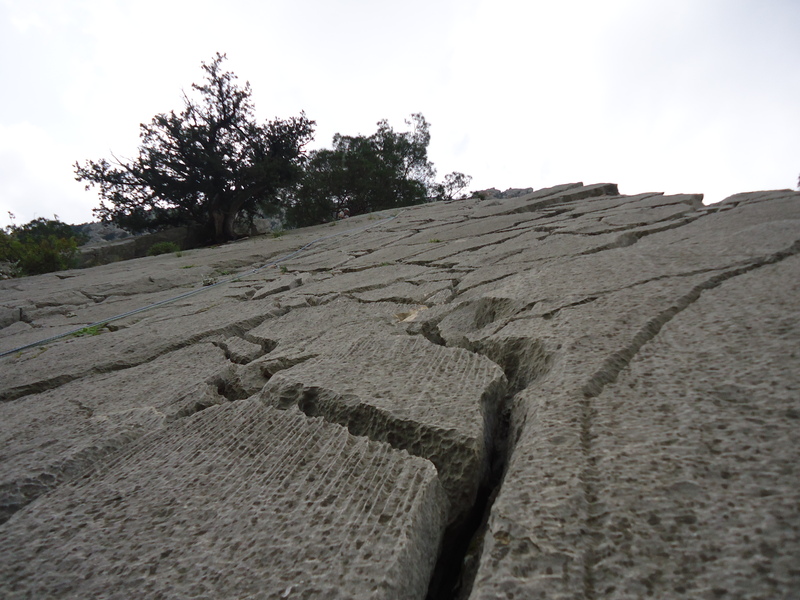 Followed by a scramble to the top and then along the top, an abseil down the back and a walk back to the car. 8 hrs in the guide book. As we now knew the way there we arrived at 9am (ish) and started climbing soon after. Initially good progress on the pitched climbing. Less good on the scrambly bits for Peter and I. About 6pm we had an accident. Peter pulled of a chunk of rock which then rattled off down the mountain. (We were used to the smell of pulverised rock now.) Peter landed on a ledge, somewhat shaken. After a telephone call between Simon and Peter, and some recovery time, we continued. Come 8pm it was dark and we bivouacked. Peter happened to mention his ankles and shoulder hurt. Low on food and water. 6.30am. the sun rose and we set off more. Ate remaining food and water as we thought we would meet Simon soon. I was wondering if they did all day breakfasts at Josito’s. 9.15am arrived at a top where we had thought to meet Simon. No Simon. We shouted and heard a very faint reply. No option but to continue along the ridge, very slowly as Peter’s ankles were very sore. Next summit. Shouted again. Heard a reply and saw Simon in the far distance. Could only see a white speck moving. Despair! No all day breakfast for me. 3pm got to summit just before the abseil. Abseiled down – fun and games with the tangled rope. Simon there with biscuits and water. Lots consumed very quickly! 3.30pm to 6pm, walk down to the car to get the 10.00 flight. All a bit close! Sun rock 2 was a mash up of YAC folks and various friends who were all lured to climb on turkish rock at Geyikbayiri in Antalya in the far south of Turkey, where we had heard the rock was steep and unpolished, the routes were long and well bolted and the sun was likely to shine. All were true. We had also heard the grading was quite stiff, and egos were likely to get battered. This was also true. The landscape was fantastic, a deep valley just over an hour from the airport, lined by a succession of vertical limestone cliffs honeycombed with spectacular caves and interspersed with lush green woodland. Above the valley was a range of impressive mountains, on days when the clouds hung round the peaks the effect was like a japanese painting. The local crags were so extensive it was possible to stay there all week without running out of routes at the grades we were looking for, so Ali, Rachel, Poppy, Peri, Andrea Graham and Dave S did that, while Simon Carmen Pete E and Dave D and Isabelle mixed it up a bit more, with a cultural visit to an ancient deserted city and to seaside climbing at Olympos seaside (verdict – water worn, rounded and stiffly graded) plus a couple of trad days. One of the trad days provided us with a fine epic. Simon Carmen Pete and Dave D decided to do a big day out on a big nearby peak. 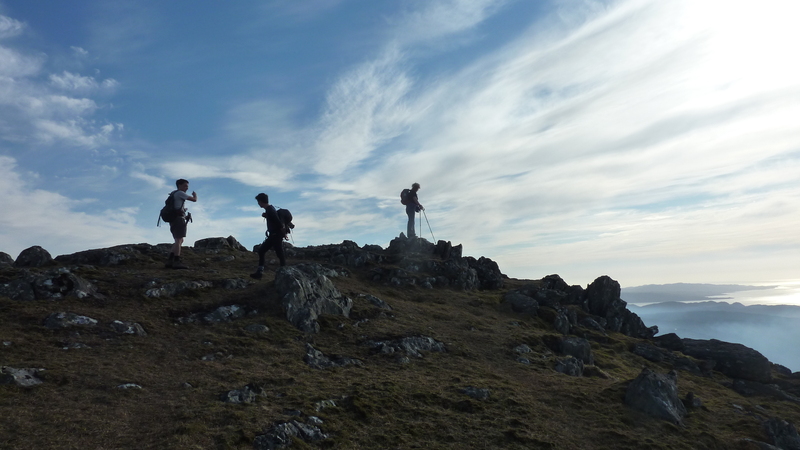 The rest of us frowned a little when at 6.30pm we got a text from S & C saying they had just reached the summit…. later in the evening we got another text explaining that Pete and dave had liked the mountain so much they would be staying there overnight. Pete had pulled off a rock, mashing up his ankle and been unable to finish in daylight, so they very sensibly decided to bivvy and complete the route next morning. S &C arrived back at midnight, then poor simon got up at the crack of dawn next day to collect the others. After a long day limping up the rest of the way to the summit and down the other side with a badly swollen ankle they arrived back 30 minutes before the drive to the airport. We stayed at a local guesthouse, Rasayan Organic. 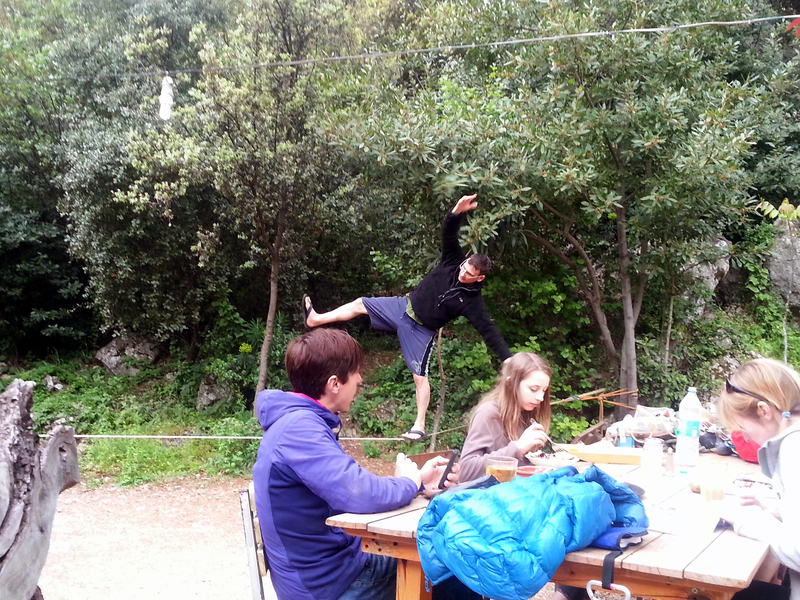 However another time we would definately stay at Jo-si-to campsite instead, which was five minutes walk from the crag and had a lovely welcoming atmosphere, plus nice bar and cafe, a fire pit with benches round it and a slackline. We hung out there a lot, you could sit at the bar after climbing with a nice cold beer and watch people still on the routes, trying for the umpteenth time to work the hard moves over the cave roofs. If only we could have said the same about the guesthouse…it was an attractive well furnished building with great views, but spoilt by the attitude of the owners who levied additional charges at every opportunity (you want coffee at breakfast? no-one in turkey drinks coffee, you will have to pay extra to buy the coffee and cafetiere! You want to use the kettle to make tea? Three euros per 7 uses!) . The high point was probably when Simon got up early on his rescue mission and Carmen was subsequently woken by the landlady shining a torch into their bedroom, presumably seized by the suspicion they were doing a runner. On a much nicer note we also paid a visit to a lovely fish restaurant based near the local trout farm, where we sat on low benches while the smiley owner brought out the freshest fish ever and piles of chips, aubergine salad and popcorn – definately worth seeking out – take the turning below sector anabolic. overall verdict – great place, would love to go back. Just book early enough to stay at Josito's! Gav and I arrived Friday and found our way to the Olive Branch. 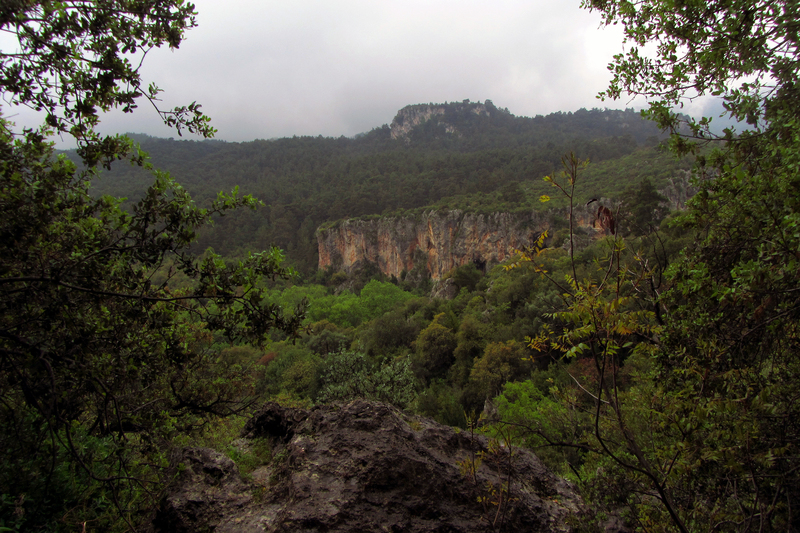 After a chill out and room swap, we headed out to a local crag Las Encantadas. Gav decided to warm up on a 6a, I decided to top rope the route to warm up. Gav clearly is a brave, fearless and capable climber, so Karl and I had an agreement that we would send him up the hard stuff – I added to this criteria – anything I didn’t like the look of. Saturday: Gav and I didn’t go back to bed on the first day Paul, we had loads of coffee in honour of Karl who was kidnapped by Rob et al and forced up a multi pitch (Rogelio – see Paul’s account above) against his will. He actually had the best time but had only managed to consume 3 coffees before early start after beer till 1am. 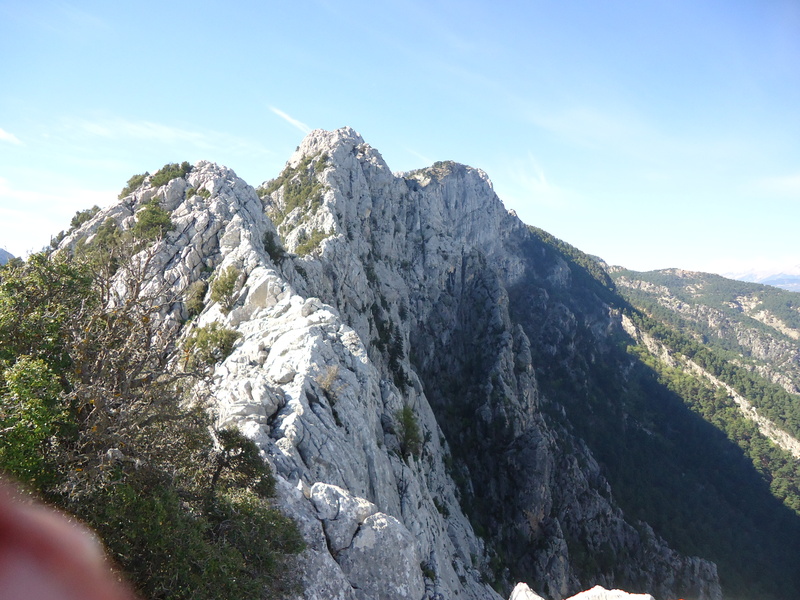 Gav and I did have a slow start but made our way to Escalera Arabe, the same crag. Climbed some nice 6a’s and then dropped the grades to finish nicely. A very detailed discussion was held by all on the difficulties of women needing to wee on a multi pitch. A number of suggestions were made…please no postings. Dinner was provided by the Olive Branch – decided cooking was not on our agenda. Sunday Karl was rescued and he got plenty of coffee before we all set of to the Busena Sombra sector of Desplomilandia. The day started on nasty 5+ in the corner (Escombros and Autan) again, demonstrating rather creative grading of routes. 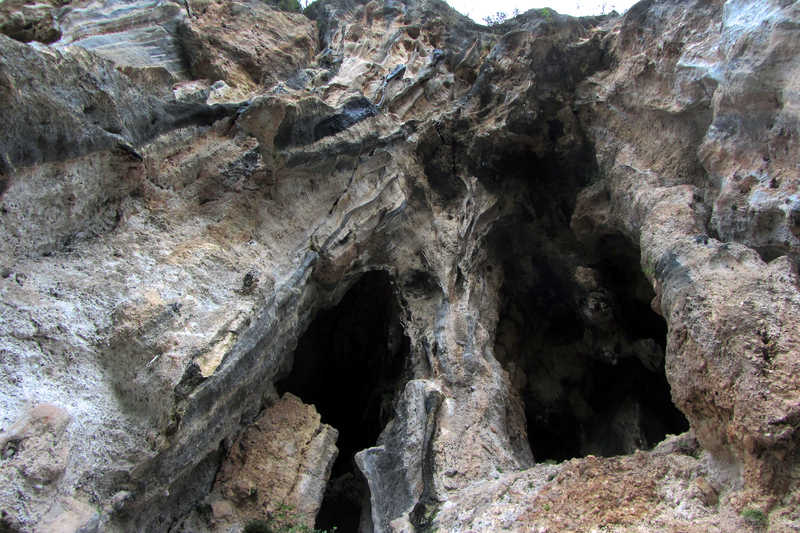 Like Paul, Karl’s favourite was Sin Mantenimiento (top 50 6a). After the sun hit we retreated for ice cream and coffee and a paddlele (not piddle) in the huge lakes on way home. Rob, Pete, Paul and I diverted en-route to re visit Stanage Girls – a lovely sustained and interesting route. Climbed to the sound of calling frogs! Back at the Olive Branch Gav supplied cold beers and Karl enjoyed his first shower! After the stress of the multi pitch Karl felt able to confess that he forgot to put us down for dinner…resulted in a marvellous feast of a sheep in a local restaurant. Tuesday proved to be a day of adventure with a walk through a railway tunnel after Rob wisely checked the time tables to avoid a near miss with the first train. Two Germans considered us a bit wussy for waiting. They said they’d just walk quickly; after all it was just a big whoosh. Never mind, Rob was doing a grand job of improving German relations in the bunk house. 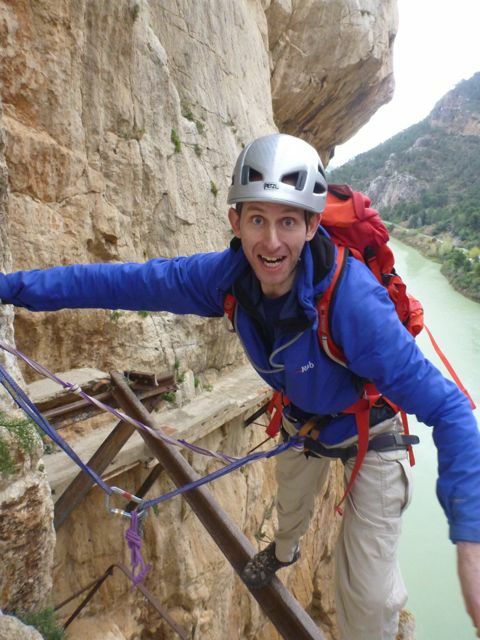 Again Gav lead a 32 metre top 50 6c – Pilier Dorada, with a long belay from Karl who had to take a leak midway. No details on this. 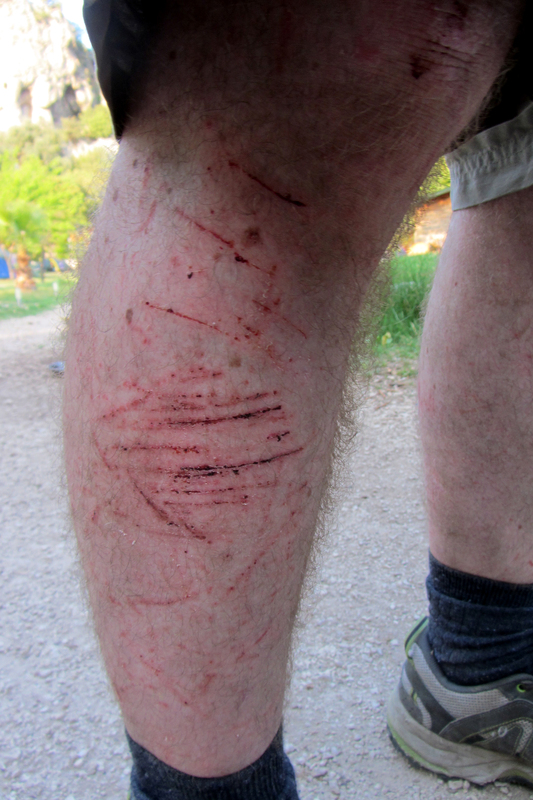 Again I shamelessly topped roped it and followed not the chalk marks but the trail of blood. Karl made a good way up before retreating to use facilities again. Joined by nice Norwegians with a nice dog. 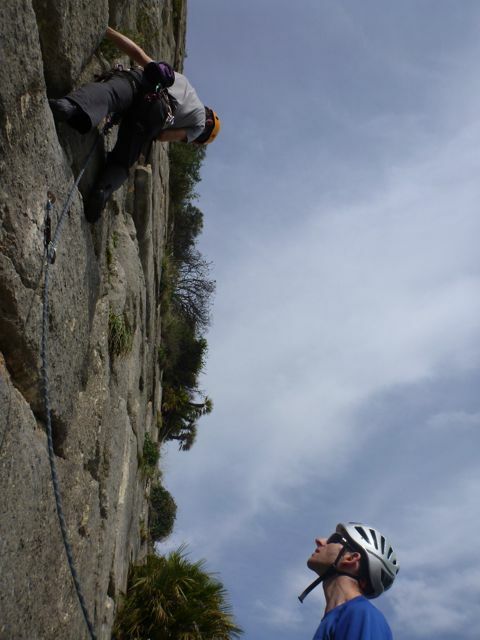 Meanwhile Rob and Pete set up an abseil to start a rather sparsely bolted multipitch. Great photos of this to follow. After all contributing to the blood flow on the 6c we pushed our way through dense undergrowth to some easier but polished routes at Cotos Medios. Karl led then 3C did as well and seems to remember having some what of a tantrum on route. A Number One, a top 50 4+, nice but not like a 4+ at Harrogate! The route next to this followed and C3 found a particular tricky move (and swear words) mid way. Pete led Super Galleta a top 50 6a, it caused some pain though, esp for Gav who HATED it, Rob quite liked it and 3C waltzed up it (On top rope though). 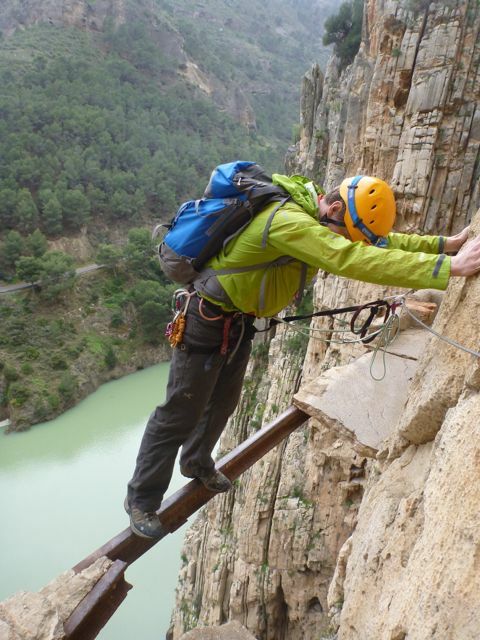 A great adventure on the way back via Camino del Rey through the Gorge. 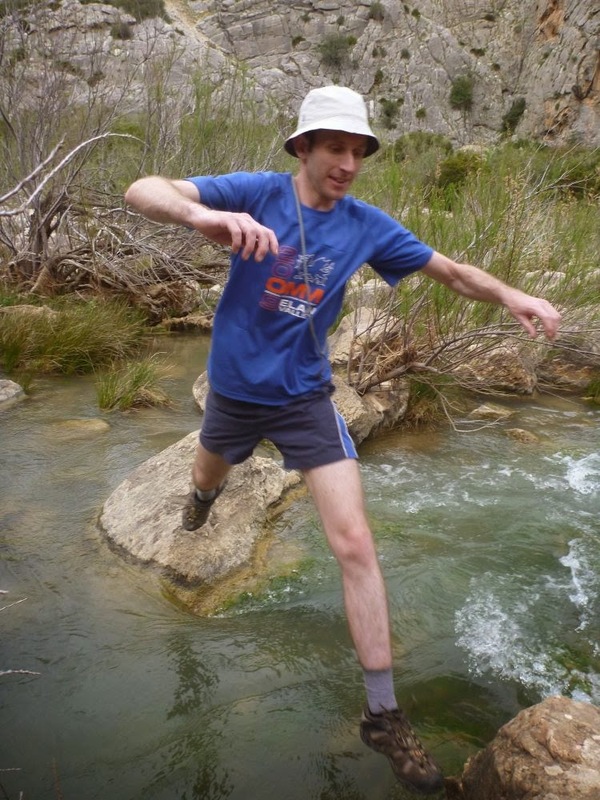 A proper adventure to cross (jump) the river and locate the start, – but all cool cos Rob is our leader (deluded fools –Rob) Karl vvv happy. Wednesday saw a very hot day so litres of water and much debate about ice cream rather than climbing. We all visited Turon East but due to lazy breakfast and much coffee, we were a bit it late so shade was fading fast. First climb was a thruchy, trad-a-like 5+ Ultima del Ano (Karl liked, 3C hated and fell, top roped after but still hated it). Got cooked so left for Turon west for shade, river and beautiful blue/purple flowers. Also home to newly named Crying Game. 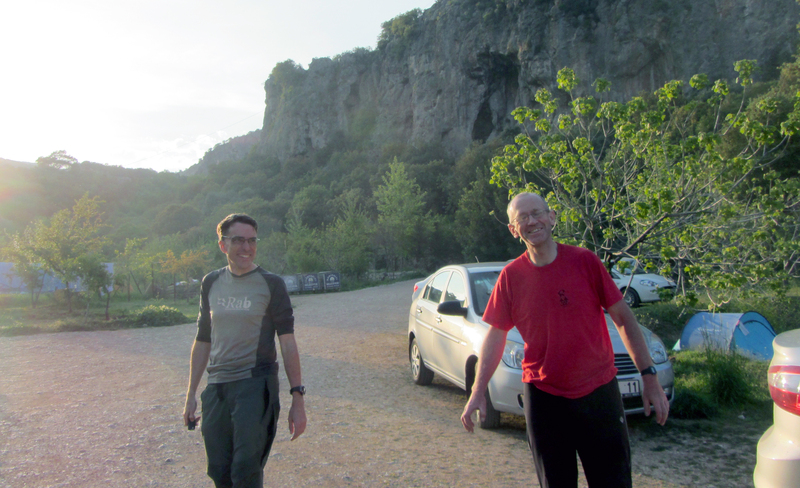 Karl and I in Sang hymns (Amazing Grace – knew all the words) to Gav on top 50 5+ (Floja y pendulona) although not sure the singing helped with harder routes. Much prefer West to East side. Thursday was the last day and we were joined by a Lee, who had lost her climbing partner for the week. Great steady climber. Headed for Valle de Abdalajis, sector fisuras. Started on a Top 50 4+, Un pobre infeliz. Like Paul, not impressed with the grade or ridiculous lower off point and again had a bit of a tantrum at the top! Sore shoulder and lack of will left me top roping routes for the rest of the day! Fantastic routes to the left and the strong and the brave kept on cimbing and leading losing much skin and blood Eg Cantolandia (3* 6a), Fisuras Armoniosas (top 50 6a+) Many left skin and blood on Ozu! 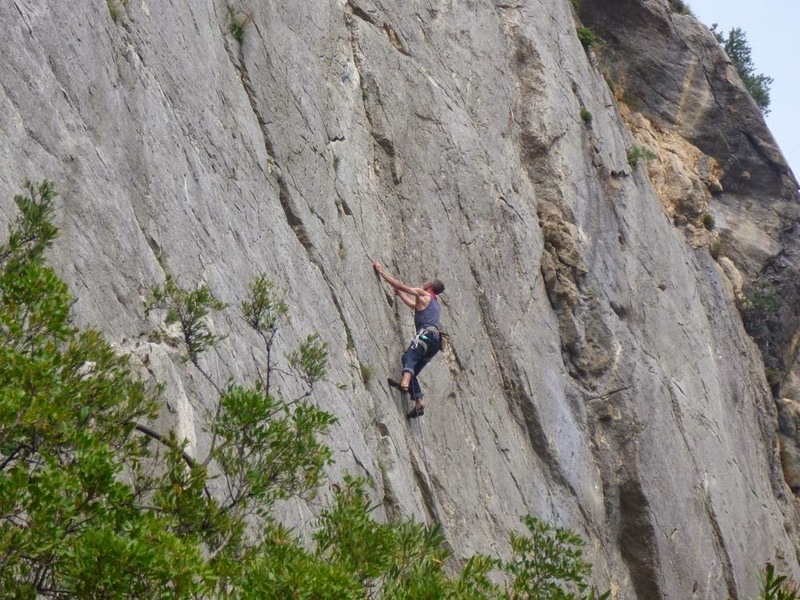 6b Cheese grater layback – Dedos Sangrientos 5 but think up graded to 5+ or 6a? more pix to follow and robs version of events ….. 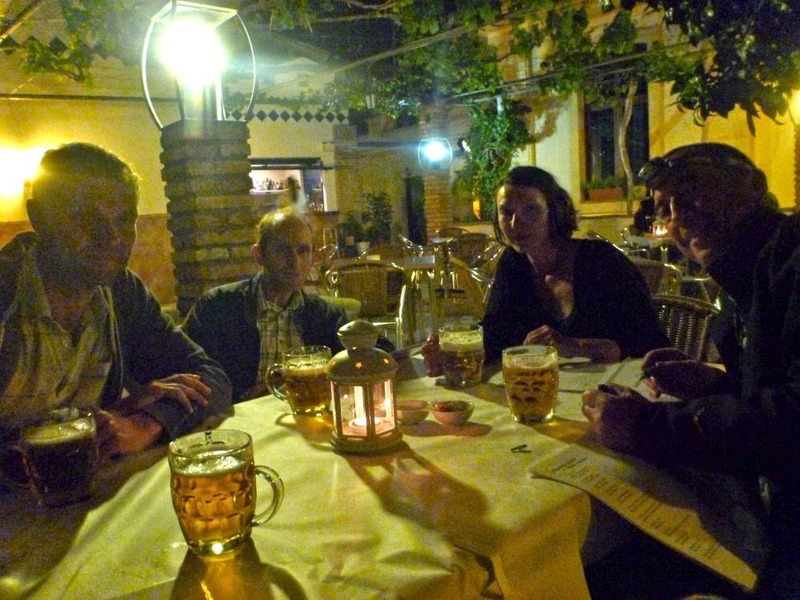 The YAC sun rock trip (1 of 2) took six of us to the sunny locale of El Chorro. Home to the most gigantic selection of limestone I have ever seen. Pete, Rob, and Myself opted to head out a few days earlier than the others, arriving at Malaga airport around 9:00 after a 4:00 am start (thanks to Karl for driving us to the airport). From Malaga we wasted no time getting on the rock, the first stop was Valle de Abdalajis, a sun trap just east of El Chorro, and the first big crag you come to on the drive in. Here we started on Un Pobre Infeliz, which was optimistically graded as 4+ (turns out that is was 5/5+ according to the Rockfax update – that'll teach us not to read the update). Not only was the grade incorrect but the lower off wasn't in the right place on the topo, or even a convenient place! 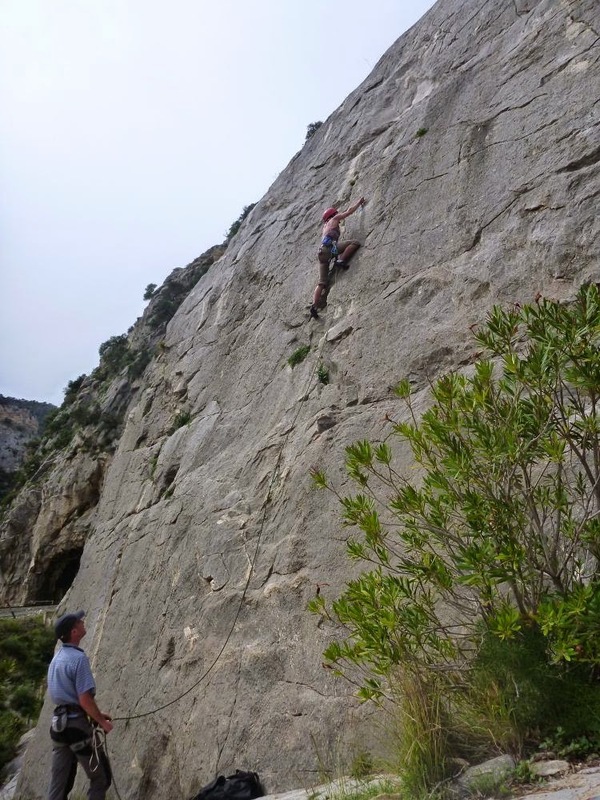 Anyway, having freaked ourselves out with a route we fully expected to romp up with ease, we turned our attention to other routes, El Olvillo del Osilllo (5+) amongst others, an entertaining climb into a runnel with a very traditional feel about it – highly recommended. Day two was wet (as was day three but more on that in a moment) so we headed off to look at the Camino del Ray, which from most reports had become impassable due to the removal of the via ferrata wires. This turned out to be mostly untrue and we were able to access the walkway from the climbers via ferrata, although the wire is missing on the initial traverse you can clip into the staples which seem safe enough. 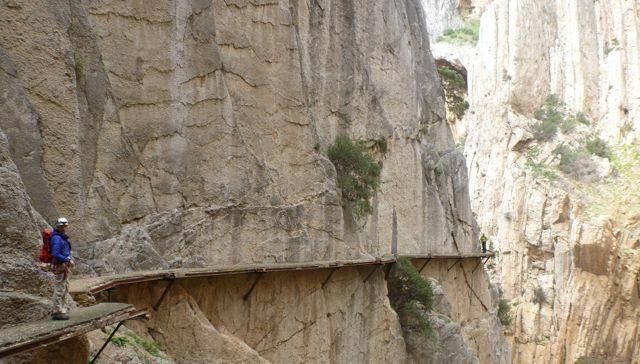 The cable was there for the walkway proper and we have an enjoyable time getting to the end of the gorge – interesting in places where the walkway has clearly seen better days! Reports from later in the week say the cable protecting the climbing just after the initial walkway has now been removed. So it sounds like places to remove the cables are taking place, just slowly. Back to the bunkhouse for pasta and sausage for dinner. 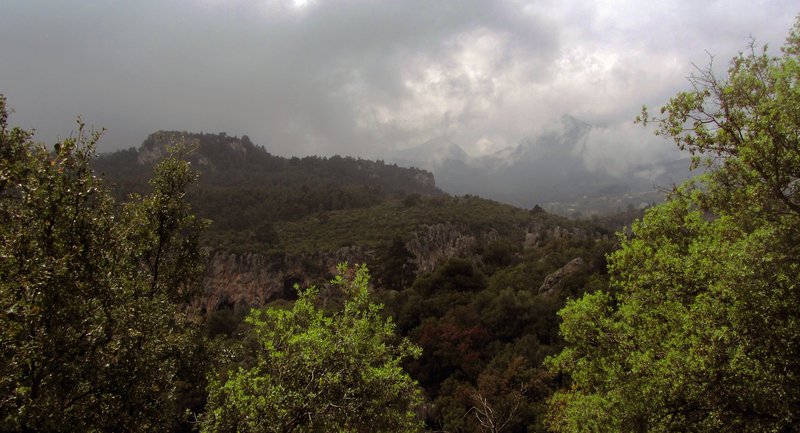 Day three started out wet-ish so we tried our luck further out from El Chorro and headed to Turon. Here we had to valiantly fend off giant rats, who tried to nick our lunch, but also managed two nice routes before the heavens opened and we had to retreat to overhanging shelter of Desplomilandia, via a small spanish bar for some coffee. We had just enough time to get a coffee and pickup a hitch hiker (Neils from Germany) who was looking for a lift back to El Chorro. Unfortunately, for Neils, we weren't going to El Chorro straight away but gave him a lift halfway back, he was very grateful and as payment told us we'd only completed half the Camino Del Ray, the other half being at the far end of the gorge, opps. Desplomilandia was steep enough to keep us dry but as a consequence offered limited climbing options save two polished and slightly bold 5+'s. It did however give us ideas for later that week, a bunch of 6a/6b climbs that were too wet for today provided some fun later in the week. Then back to the bunkhouse for pasta and sausage for dinner. 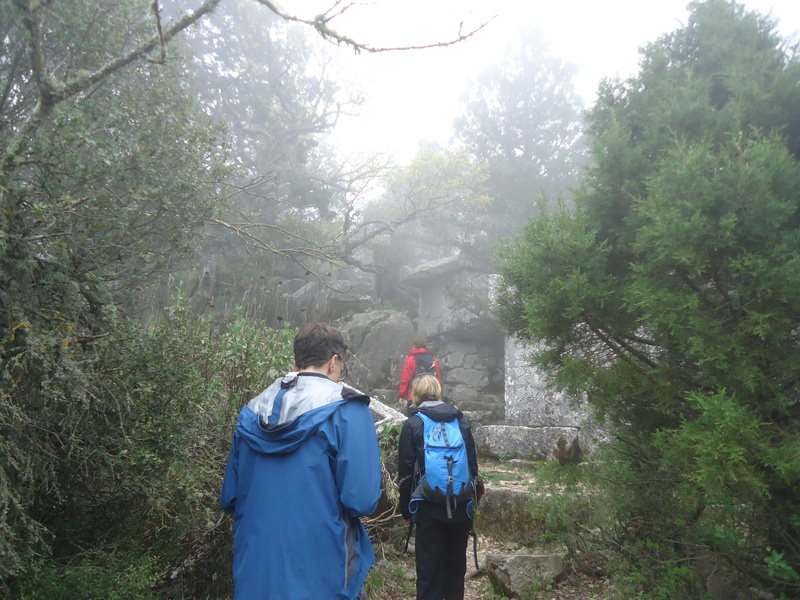 The weather was picking up by day 4 and we set off to Frontalas Bajas to climb in the sun! A disembodied hello was heard as we passed the train tunnels on the way to the crag, it was Neils, our hitchhiker. He joined us while his friend was sleeping of a hangover, Rob paired up with him and climbed what looked like some lovely rock but at 6c it was too much for me so Pete and I headed off together. 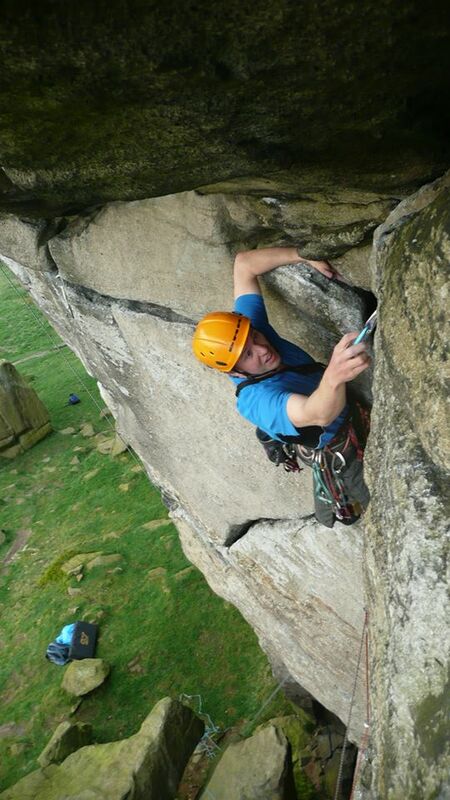 Amongst the best were Zulu Express (6a+) and Stanage Girls (6a). Stanage girls gets a star in the guide but in my opinion deserves at least two, superb climbing and quite sustained at the grade! One to lookout for if you're in the area. Then back to the bunkhouse for pasta and sausage for dinner. The rest of the party joined us this day, Karl, Catherine, and Gav. The later two set off for harder stuff (or perhaps just went back to bed). Karl, however, joined Rob, Pete and myself on the 10 pitch Rogelio (6a+ – really just 9 pitches of 4/5 and one 6a+ move on the last pitch but this doesn't sound as awesome as 10 pitches of 6a+ so you should ignore this comment and imagine us battling away to the final bolt) at Escalera Arabe. 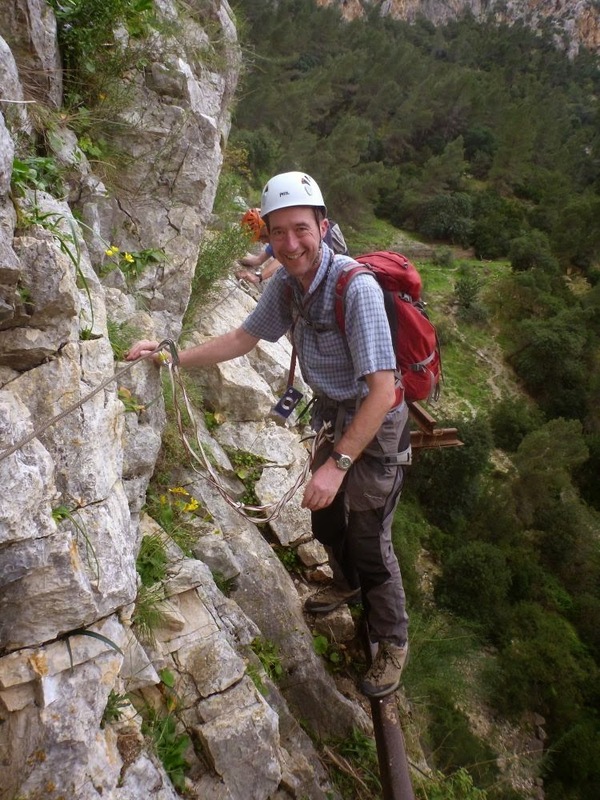 And a battle it was, at least for Rob, our rope got stuck on the first abseil and Rob had to prussic back up. Thankfully a handy pair of German girls saved Rob from having to go the whole way on his own. Anyway, this gave us time to meet the local mountain goats as we sat on the belay stance. Then back to the bunkhouse for pasta and sausage for dinner. 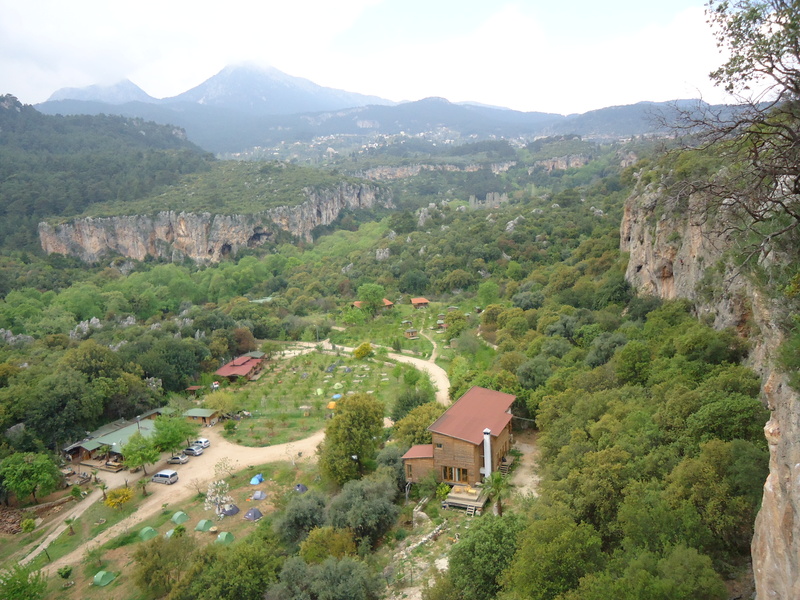 And onto my final day in Spain, we headed for Desplomilandia to try the nice 6a/6a+ routes we'd seen some days earlier. Top choice for the day has to be Sin mantenimiento (6a) with a nice overhang made easier by some fortuitously located jugs. Also the adjacent (+1) route Kung fu Panda (6a+ ???) is worth a punt, and not only for the name. 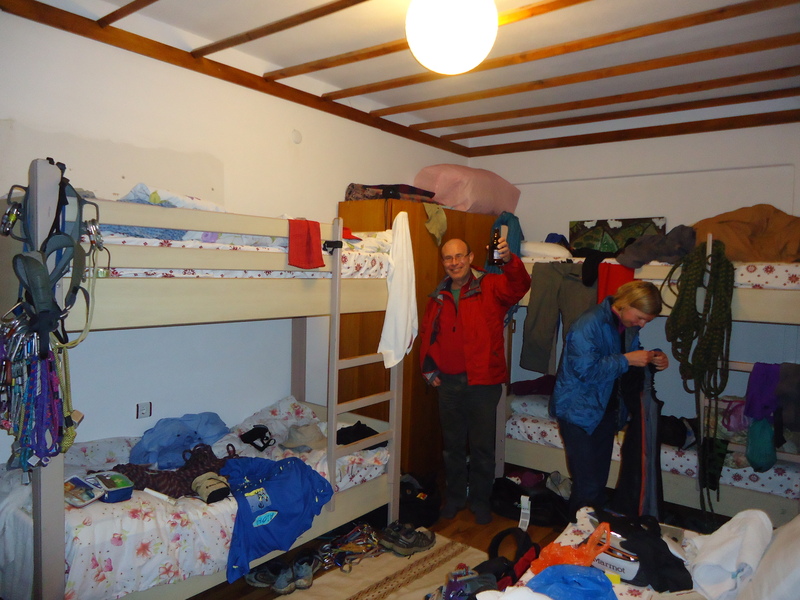 Then back to the bunkhouse for pasta and sausage for dinner. Day eight was stared with a full english then many many talk on Nuclear Physics. Opps, wrong blog, this is where I leave the Spanish crowd to head back to work. Of course the rest of the trip must have been awful but you'll have to wait for one of those who stayed to tell you in part two of the scintillating stories from Spain. You are currently browsing the York Alpine Club Blog blog archives for April, 2014.